Who said a high mileage vehicle costs more in repairs and maintenance? 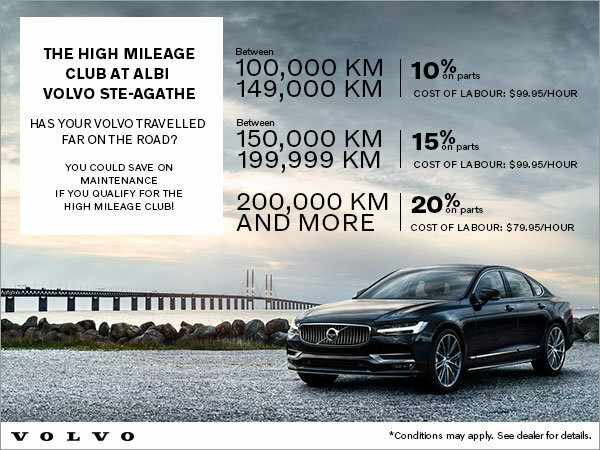 At ALBI Volvo Ste-Agathe, save 10%, 15% or 20% on parts when your vehicle has more than 100,000 km. Conditions may apply. Contact the dealer for more information.